- Publisher Written for 4 to 8 year olds, this festive selection of stories contains tales from around the world. The stories reflect Hartman's humour and joy of life, echoed in the colour illustrations by Susie Poole. 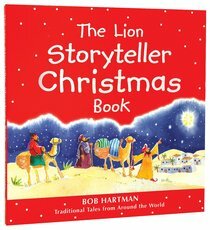 Written for 4 to 8 year olds, this festive selection of stories contains tales from around the world. The stories reflect Hartman's humour and joy of life, echoed in the colour illustrations by Susie Poole.